It means that we don't do the manual labor like our forefathers used to do. It's not going to change anytime soon – as long as the computer age stays around. Obesity is the price of convenience. I'm not sure, but it’s not an excuse for the government to control what free Americans eat and drink. Shame on Mayor Bloomberg and those like him. While we are blessed in this country by an over-abundance of things to eat, there's an effort underway for quite awhile to try and get people to think healthy and eat healthy and exercise. Unfortunately, I don't think it's working real well. It's called prosperity. Something they don't have in Ethiopia. America finally has something to export. We're back! Jack, we are heading right for the grave yard and reversal of hard earned increased life expectancies. If the First Lady has her way, we'll reverse the Diabetes, and heart disease trends heading toward a healthier America. Jack Sprat can eat no fat, but his wife can eat no lean goes the old lymeric. Here is my updated version. President Obama can only eat dogs, but his wife can eat a whole Llama. Whoops, I forgot, wives are off limits. Good bye comment. Two things though before we go. Its not what you eat but how much. The other is no matter how much you eat you are not going to get the hunger pangs to go away for a few minutes. So try eating a little, and waiting a bit, if you need to lose weight. Doug, Pepperell, MA. Straight to the Coronary Care Unit! We need to get the 'junk' out of our food supply. Where are we headed ?? To the nearest drive thru window.........................to order the latest and greatest junk garbage, now called food. We are on the road of fast food. A McDonald's on every block and a Big Mac in every mouth. My message to America: Lose some weight! A life expectancy drop – that's for sure. The earth's CG will change, altering it's orbit, thereby sending us flying off into space...ergo, proving the Mayans correct. I can't remember my college physics very well, but, I think that our planet will eventually achieve critical mass, deform spacetime, and sadly form a black hole. At this event horizon, there will be a point of no return and all the weight watchers and Jenny Craig's in the universe won't be able to retrieve us......Well, I'm off to get some butter pecan ice cream. More platforms for increased communications about a serious problem that rheortic alone won't fix. Besides, there are much more serious problems facing the world today like; boxing fraud, steriods use in sports, & shorter lines for the next iphones. Very rich insurance companies, who set premiums higher for fatter people or deny them insurance, even if BMI of 25-29 is not as bad as they say. It also says that big corporate food producers have an undue advantage in the halls of American power, both in the administration and Congress. Withdrawing subsidies for sugar and corn syrup would make the price higher and everyone less fat. It looks like we will be headed for the great fast food planet in the sky if we don't drop some pounds. Jack: The world population is headed for more heart attacks and strokes. 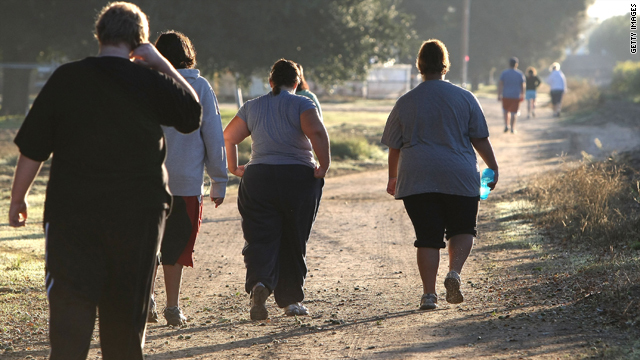 The overweight problem will cost billions of dollars in health spending. We will need to improve how we are going to pay for our bad choices in eating. We need proactive measures which encourage moderate exercise, better diet, and health care system built to prevent disease. We beed better communication skills and more access to healther food and medical care. Not to weight watchers that's for sure. We are headed Down the road, Chris Christie is on. To the, "Biggest Loser" TV show? Or, maybe on our friendly neighborhood I.C.U? Oh, that's right we don't want mandated health care....so scratch that. We are then headed, most definitely to our friendly neighborhood coroners slab. That's better! There is a great deal of encouragement to be over weight. Fashion mags show how great a size 22 can look. It will put a great burden on the US budge because of health problems and we will die younger. We're headed towards a time of obesity related health problems, health care financial strains, and higher food prices. But don't worry because WW III will correct this and many other problems with today's society. Jack: I don't know where we are heading-–but we need to be going to Weight Watcher; NutriSystems or Jennie Craig--and if we don't--we will all be taking a trip on a runaway sphere! The world is going to turn much slower. Oh, no, the earth is going to tilt on its axis and crash into the sun! Nature has a way of correcting itself and those 17 million pounds will shorten the lives of those so affected and rid the world of that menace. Grossly overweight usually equates to earlier demises, so fattening up the world's people will inevitably help with the planet's obscene overpopulation problem. It always astounds me when "experts" lament that western birth rates are insufficient to sustain economic growth. The world needs less people, not more. While you're at it, Jack, explain to me why American politicians believe that reducing government spending to balance the budget is a dreadful idea. It seems logical to expect that continued gross overspending can only make the debt problem worse. What do your politicians know that the rest of us don't? tampa, fl that the food stamp program works. Sitting. In office cubicles, in front of electronic devices, on couches in parents' basements. No jobs? Maybe. More likely, lazy habits and lots of junk in the stores which ends up in the trunks. Jack, American obesity is a direct result of three things: government subsidized agribusiness which overburdens our diet with corn based products (from meat to ice cream); second, Americans can't think straight about "food" because advertising promotes wrong-headed notions that nutrition is value added by processed food rather than plant based food. Third, we walk much less than our counterparts in other industrial societies such as EU. We need to return to eating real food, mostly plants and walking. America finally has something to export. We're back!! The human knee is one of the remarkable joints in the human body, however; it is not designed to carry 300 pounds of fat. By the way the super obese will need knee replacements or a Rascal scooter to tote their tonnage around because their knees are failing under the load. I might add that both of these remedies are largely paid for by Medicaid or Medicare. It's not that Medicare and Medicaid are flawed programs it's the detiorating health and the poor diets of Americans that are the problem. As a person who has lived LARGE her whole life and has tried every diet under the sun, one has to wonder what is being put in our food. It is as if we are being "fattened up". Also cheap food is also fattening food. So if you poor you are going to buy wasted calories to fill up on. So obeseity can be two fold. And don't even try to fly on planes or go to the movies/sporting events.. All the seats are made SMALLER and SMALLER every year. So they can shove more people in cabins/arenas/theaters. Even my skinny friends complain that the seating is too small for them and they can't even imagine what it is like for me. In the past Jack, being large was a sign of WEALTH. So if we take that mind set then we are a WEALTHY NATION. We practice gluttoney better than anyone else and we flaunt it as well. We're lazy, expect everything to be given to us and we forgot how to work for a living. People sometimes overeat when they are unhappy, and as an outsider looking in, there seems to be several sources of unhappiness in the U. S.: political polarization, an impossible national debt, a rift between those who have and those who have nothing, and a general pessimism about the future. Add to that a sedentary life-style which ties Americans to their electronic devices, and obesity seems inevitable. We've gone from supporting liberty, justice and pursuit of happiness for all, as the world's leading "lean mean fighting machine" to being an overweight welfare state with marriage for straights. it means that we don't do the WORK (or manual Labor) like our forefathers used to do – it's not going to change anytime soon – as long as the computer age stays around. It is a bit obvious what it means, isn't it? Americans are overweight. To begin with while we are blessed in this country by an over abundance of things to eat a lot of people are eating the wrong things. Most things that taste good are loaded with calories and fat. There's an effort that has been underway for quite awhile to try and get people to think healthy and eat healthy and oh yes exercise! Unfortunately, I don't think it's working real well. Looks to me like too many people are still going for those quarter pounders at McDonald's! in proper shape and in good health. The government will label it a disability and pay you for it. Well, in view of the coming petroleum shortage, and it is coming, I think it is a good idea to store some energy for the Winter. Some of us might live longer than others ! Too many calories, and not enough exercise to keep off the pounds. In other words, laziness in most cases. The drive up to windows to get their meals instead of growing vegetables and working in a garden like we did. They drive two blocks to get a huge drink instead of walking and drinking water. Over the top commercialism – it sure works. At least half of us obviously can't think for ourselves, and marketing departments know that. Heck rightwing radio and tv know that (censure of our attorney general anyone?). ... and I'll take that supersized, please, with extra cheese and sauce because I don't know any better. We as a nation need to stop the insanity and feeling the need to reward EVERYTHING. You don't have to give rewards to people who live healthy. Just stop subsidizing unhealthy living. Seriously. Walking. You said we need programs to encourage walking. I think everyone should just take a minute and reflect on that. America, wake up. We should deregulate food! Oh wait, I'm not Republican. Let me start again. Lets throw all the "businessmen" selling us poison into the deep part of the friggin ocean. Yes Jack thas all we are, hot air and body fat! It means we need to eliminate food stamps, and the free school lunch program. It could mean a higher survival rate for the US in case of a zombie apocalypse, because the zombies won't have to eat as many of us to get full or the opposite, they bypass all the skinny people throughout the rest of the world and feast on us. Thought provoking question Jack, thanks. It means that we need to place a higher priority on individual health than one the number of fast food franchise restaurants are owned and operated. It means that we should focus on health profits as opposed to monetary profits. That we should focus on weight loss as opposed to revenue loss. your last paragraph said it all, Jack. it's not just our fat filled fast food diet that causes obesity, it's that wonderful invention the automobile. in Europe and some big American cities like New York, Boston and Philadelphia. people WALK. in must of the United States, people RIDE everywhere. Hell, people DRIVE to the GYM to EXERCISE. HOW CRAZY is THAT? We work longer and harder than people in other countries, and get less vacation time. We have less time to exercise and get out into nature. Don't worry about, just keep those chips and fries coming... BURP! hand me that diet drink will ya? It means we're a bunch of lazy Americans who spend too much time debating politics on facebook, and not enough time exercising. Over eating is usually a sign of discontentment. .I think that certainly describes "We the People" of the USA. It means the FDA has been bribbed into submission, and no longer is interested in protecting Americans from unscrupulous global food producers. The amount of sugar, fat, and salt, is manipulated to create food junkies. Starting at a very early age, citizens are bombarded with chemically altered products designed to get us hooked for life. It's no different than what tobacco companies do, except that a person can live without tobacco, but they can't live without food. We live in a country where the biggest seller of books is cookbooks and the second best seller is diet books. The latter explains to the reader how not to eat what you've just learned how to cook from the first. The true answer is moderation but it's obvious that many Americans are ignorant of it's meaning. How did you get a picture of my mother in-law? Don't worry, the way the world is going we will soon be getting thin while the rest of the world gets fat. It's called affluence. Remember that word that we knew so well? The government seems to be working hard to make it a distant memory. That 137 pound average you quoted is grossly distorted by millions of people who are under nourished or dieing of starvation. I recognize that we do have an obesity problem in the US but we also have access to an abundance of healthy, nutitious foods. If we all started eating 50% less it would have no impact on hunger in the rest of the world. Their problems stem from over population, lack of agricultural resources and poor distribution systems. Your attempt to blame overweight Americans for those problems is bogus. It means that we pick our diets like we pick our politicans – quick, easy, not very helpful, healthy or good for us. Unnfortunately, when it comes to food and politics, a LOT of our fellow citizens are ignorant, gullible, and not very bright, and they do themselves more harm than good. How else could one explain eating fast-food fries or voting for Rick Perry? It means that Corporate America can't survive without making us fat! Yes we eat it but the commercials on TV are relentless! Really, if we watch TV as much as you want us to, Jack, you know for ratings, the we are bombarded by commercials that lie to us by saying, "You don't fit in if you don't eat this or that! You talk about unethical, and dangerous, we can ban smoking on some shows but eating during every commercial is fine. Unhealthy Calorie laden fattening food that has no real nutrientional value. And if we stop eating the bad food, Corporate America fails, and if we eat only Healthy vegetables, Corporate Medical America fails! And we're done! Our society doesn't know how to survive on the truth! So Fat is what we do as a Country, or the country is broke because we're too stupid to study science and try to progress as a species! This is a no-brainer, Jack. My father always said that the only real way to lose weight was to pass more than you eat and drink. I guess this means that we must be spending more time snacking on the couch than sweating off the beer or even sitting on the john. Respectfully Jack, it means that both you and me should work out rather than watching TV. Just say'in! Hush up jack. The gvernment will find a way to tax fat. It means that more of us will die younger & will be buried in extra large coffins. What it means Jack, is that Americans spend way to much time watching CNN, playing with heir "apps" and video games. But more to the point, we are subject to so many subliminal suggestions to eat combined with the stress of our "new" service oriented work systems all the while reeling from the fact that we've lost our manufacturing jobs and our craft skills are no longer valued. Who wouldn't want to sit down and abate their fears with their favorite pig-out foods? Pass the hormone injected chicken nuggets please. And yes I would like a hot apple pie with that. America is cooking people to satisfy needs. It means that healthy food is expensive and unhealthy food is cheap and easy(drive thru). Everything is about how much you can afford to buy and how much time you have to prepare a healthy meal. A single mom working 50 hours a week, for minimum wage, would love to give her kids a good meal, but money and time are against her. The congressmen and the physicians in this country who have the best medical insurance and options are over weight. Good habits should start with the leaders. Exercise uses calories that later have to be replaced, so I suggest that you, Wolf and the rest of us get off the treadmill! With all the fatheads in Congress I'm not surprised, the cure is to vote them out and make them go to work. It means: new reality show–send obese people to Africa (cross between Biggest Loser and Amazing Race)and show them that lack of food really does result in law of weight–wouldn't even have to exercie. Hi Jack, it mens the Republican Party is winning their war against government regulations which includes any food labeling requriments and restrictions on ingredients. The GOP argues that people should be free to eat the food they want but how are people to know if what they are eating is what they want to eat if it is not properly labeled? The truth is much of what people eat should not be labelked as "food." Not sure...maybe I should put down my pizza, get up off the couch and quit watching you, Jack! Seriously, Jack. I have no idea. We're going to kill ourselves off. We won't do what needs to be done and we won't let the government do anything, so "Don't bother me, I'm eating" is our mantra. You'll have to pry this burger from my cold dead hands. Really. This is a news story, another negative reporting of what it means to be an American. Look at all the nonsense that you report about. BAD AMERICANS! We should be more like the Egyptians, whos population has doubled since 1980.........but they are thin! If we Americans could only get our greed under control, the world would be a Utopia......right Jack? is this survey just "body fat," or does it include the large number of "fat heads" in the U.S. Congress? The best way to reduce obesity is to fight the high-fat, high-sugar, over-processed and unhealthy food flooding our environment. The big food companies would love for you to think that health education and encouraging physical activity are ways to solve the obesity crisis, but they'll never work if these companies are allowed to pump cheap crap into our food system. They should also focus on nutrition program. It make no sense that a package of top ramen noodles are five for a $1, when a head of lettuce is $1.50, fatty hamburger meat $1.99/lb and ground turkey is $4.99/lb. The difference in price makes it difficult for low income families to stick to a healthy diet when healthy food is so expensive. It proves the fact that we have a consumer driven economy. We may no longer be first in education and we may lag behind the rest of the world when comes to understanding the significance of global warming, but by golly we can claim to be the best at something. Apparently, we are tops at stuffing our faces and sitting on our behinds. It means that we Americans are glutinous, selfish and lack the Intellegence to cut back on our intake. What else do you expect when "fast food" is avaliable on every street corner and dollar menus abound? That's in keeping with our propensity to throw our weight around all over the world. Not to worry Jack, I'm sure Obama is investing our tax dollars in a company working to use that excess fat as the next "green" fuel source as we speak. Our fat runs in tandem with our egos. We have become the most lazy want'em country on the planet and mirrors why we are getting our keisters kicked in the global economy! It means that McDonald's better start creating a larger burger! The core of the problem is the advertising system using psychological manipulation that's rotting the society, and children are taking the worst of it. The fast food and soda industries are two of the strongest advocates and executers of the cut-throat methods that make this nation sicker by the day and unfortunately most people are oblivious to this. We prevented the tobacco industry from advertising, why shouldn't we do the same to fast food and soda? Problem needs to be widely recognized before action can be taken. Americans need to do away with their couches! PTHSD Jack. Portion size, Transportation – (long distances to schools, jobs, stores) Hormones in our food, Sugar in everything. All giving us this obesity Disorder. When there's a hard winter coming, animals will stock up, and pack on the weight as an instinctive survival mechanism. Obviously there is a time of famine and lean times coming in this country. The fat people will survive far longer than the lean, thin ones. Have you notice the American public thumbs they are thin and trim from all the texting and video games, the rest of the body well not so thin and trim. If obesity is the last definition of what we've become then it means we're going to need to find another word to describe us. Can we can say someone is obese and another is less obese. It means we have too much for too cheap so we can consume, consume, and consume. From oil to food, the US has an abundance of resources relative to many other nations, especially in the OECD. Combine this with an American culture that constantly promotes fear as well as anxiety and you get gluttonous tendencies. It means that the citizens of the U.S. are eating way too much: too often, portions that are too large & meals that include too much of the wrong foods (processed & empty calorie foods). It also means that the people in the U.S. have money to spend on food, even if it is the wrong types of food and that they have time to eat/over-eat. People in this country need to spend more time exercising (bodies and minds) and less time mindlessly eating and existing in environments of automation. where are we heading? we've already arrived .This is the direction that we've been going in for decades, post WW11, If you will. Supersize me Jack I may as well join the club! Maybe Bloomberg knows what he's talking about after all!! Just capitalism in motion, Jack. Big AG and Big Food (Nestle, Kraft, etc.) are only successful if they are growing, and they only grow in approximate proportion to their ultimate marketing target: our stomachs! It's just impossible to worship at the altar of eternal economic growth and avoid this particular side effect. It means to me we should start taking our health more seriously and might I say I am among the obese and decided to do something about.I'm diabetic(type 2) and several months ago was on a lot of insulin and now I'm 55 lbs lighter and expect to be off insulin by the end of the summer at the latest.I walk everyday with my dog and count calories and I feel better and better(weight wise)every day.I hope I can be an inspiration to someone out there. Well, we have to wait for the government to provide incentives for individuals to control weight. Lets claim all the tax credits for gaining weight. I have to admit , I will try to gan more weight in order to receive or qualify for this incentive. That is the reason I do not participate in my employer loss weight program because controlling weight is an individual responsibility for the safe of your health and to do your family, sons and daughters, and the like a favor to be around when they grow up. Today there was a viral video of an overweight grandmother getting viciously bullied to the point of tears. I read a story of a Canadian man that lost his children because of his obesity, even though he was successfully losing weight. Every day I hear about an obesity "epidemic" and the hate and ignorance flows. I never question if my tax dollars pay for the medical bills of drunk drivers or smokers with cancer. I would not dream of it. Weight is a complicated issue–do you really think shame is going to motivate someone to change? Two words–it doesn't. What happened to treating people like human beings? We're spoiled, plain and simple. It is a threat to the national security when we are not healthy and enough to defend are nation. Ill tell you what it say Jack, we are way to lazy. If we worried more about our health than the politics in the news, we would be a healthier country. As Northern Americans we are way to lazy, out of shape and fat, we love to tell the world how they should live. Look at some of our leaders fat, out of shape and unhealthy. No worries Jack, I'm sure Obama is investing our tax dollars in a company working to turn that excess fat into the next renewable energy source as we speak. Personally, I think it means that there are not enough fresh vegetables available to most people in cities and suburbs. There is not enough education in that those green things are not only good for you but they just might taste good too. It means that too many people think that eating vegetables is punishment for wanting the mac & cheese. I learned about vegetables and nutrition in a women's liberation meeting in the early 1970's. The Home Ec course that I was forced to attend in high school had nothing to do with nutrition and green vegetables. The green movement keeps getting put down by the corporate elites like Monsanto and all the politicians it supports. Growing your own food does not put money into the pockets of the elites so they call everyone who has even a window ledge garden hippies and druggies so that local police will harrass them into not growing their own food. A lot of people in power don't care if Americans get fat. For all they care, we can just catch some obesity related disease and die. The people who scare them are the ones who want to have commlunity gardens and green shopping centers because all of us of the green movement are STICKING IT TO THE MAN!!!!! This is all good but the minute Machel Obama starts talking about eating right you will then put out out another survey about whether the Obama administration is trying to limit our freedoms and usher in his socialist adjenda, right jack. We spent two years in North Africa, there were NO prepared foods, everything from fresh fruits and veg's with no preservatives. I could eat much more than I do in the US but I lost weight naturally when I was there. I have always wondered if it was not the preservatives and additives in our food. This means that America has way to many fast food restaurants and all you can eat buffets. Technology and in home entertainment is also a contributor to making us a lazy obese nation. Why don't you pose that question to the companies that make our food? Why are we not asking the FDA to look at the chemicals, hormones, and excessive surgars that the food industry adds to the slop that they market as food. Hormones in our food source to fatten up the cow is being passed on to the consumer plain & simple. Seriously, girls getting a period as young as 6 or 7, that's a red flag that nobody wants to discuss!!! Come o people, get real. Exercise is important, but what we put in our mouths is VITAL. Regulation of the food industry, no more corn syrup in everything will prevent our next generation from a burden that will surely break them. Ill ask you a question Jack, Why is obesity more prevalent in those with lower incomes in the USA while in countries like India it is more common in those of higher income? I'd say it's a result of Americans being overworked and overstressed, which leads to lack of sleep and depression – all forces that lead to excessive eating and more critically, eating more sugars, starches and fats. And when you're fat and depressed nothing sounds worse than going for a nice brisk jog when it's 100 degrees outside and you're 75lbs into morbid obesity. Everyone just needs to go for a run once a week. That's all you need. Because after a few weeks you'll realize the best you feel all week is in the 45-60 minutes right after you run. Endorphins are the cleanest high you can get and dwarf the satisfaction of a bacon cheeseburger or bowl of ice cream. It makes me wonder what else is getting into our food besides high fructose CORN syrup that is making us fat? Too much sugar, too many chemicals and other hormones, and add to that a sedentary lifestyle and if you're poor, then cheapest food is also the food that is the least healthy. Too many people don't have access to fresh fruits and vegetables, and for those that do have access, they can't afford them. Look at the ads and the marketing on television and in magazines–many of the ads are food ads, and companies shamelessly market to toddlers, who they hope will whine and badger their parents to buy them sugary junk food (and the company has a customer for life). Jack, for your next fat question, rather than comparing the US to the rest of the world (results are skewed because that 137 pound "average" also includes the starving children in the Sudan), you might consider comparing states or even regions. Not long ago I saw a study that showed that the evangelical, Republican South was much fatter than the more secular, liberal Northeast. And you might consider who's fatter–the rich or the poor? A large group of unhealthy foods are directed towards low income families. Children at the age of 5 don't have the ability to know what is good and bad. Their parents should be held accountable. Let's not forget that encouraging activites in schools is counter productive. Make them excercise then feed them unhealthy foods for lunch.